Frizztext’s Story Challenge brings us to the final letters of the alphabet. “Watercolor” shoves out other options for this week’s selection from my tag stats! Frizztext tosses his alphabet challenge each Tuesday. Pulling up from behind just under the wire with O for Olive Ridley, I am now slightly ahead with the prompt for P! 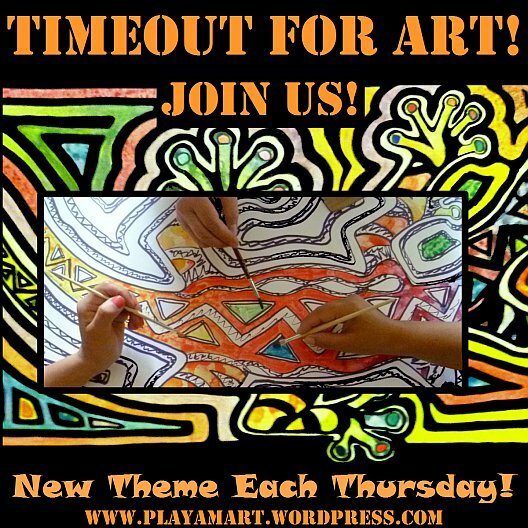 The tagword of “Painting” trumped Pelicans, Portoviejo, Pacific Ocean, Peace March, Photo Challenge and PreColumbian Art for a chance for the spotlight! An Artist’s Eyes Never Rest! Over the years, I’ve chuckled when someone looked at my whimsical works and noted the difference in our personalities. Yes, artists are programmed differently, and most of us rejoice that every waking moment is a gift! Whether soaking in a sun-drenched street scene or admiring an alignment of overhead pelicans or noting subtle color differences in a landscape, an artist’s eyes never rest! When living in Costa Rica, I lived immersed in nature and marveled at the beauty that surrounded me. I was also intrigued that most of the handmade products I bought were made in Ecuador. Hammocks, pottery, linens, masks – Ecuador, Ecuador, Ecuador. From my first exploratory visit, Ecuador stole my heart! I divided my time between Ecuador and Central America and eventually weaned full time to Ecuador. There have been good times, and there have been bad – Destructive tides, the evolution of ‘Casa Loca,’ Dengue and Chikungunya epidemics, light-pole painting competitions, impromptu painting sessions, visits to the oldest hacienda in the country, a wedding on the equator, shrimp harvests, floor-painting memories. The April 16/2016 7.8 earthquake upturned the coastal area, and with a heavy heart I watched the ‘Casa Loca’ chapter come to an end. Most of my posts feature light-hearted stories, though at times I poke and prod at much-more serious topics. Deforestation and continued abuse of our planet’s natural resources remind me to speak up for those who have no voice. Our planet is sick, and we are the ‘predator’ responsible; it’s time for all of us to remember that the other species deserve the right to thrive in their natural ecosystems. This site will give you a glimpse into the life of the zeebra. Hopefully you’ll emerge with a lighter heart!